This Premium Blogger Template BMAG v2.0 Magazine Responsive Blogger Template is a Premium News Magazine Blogspot template having trending features. It is Clean and compatible with many electronic devices such as Latest and Old Android Phones, Apple Devices, iPod, iPad, Laptop and Desktop Computers etc. It is Fully SEO Optimized, Fully Adsense Ready having Bigger Ad Spots on Header, Widget Ready. 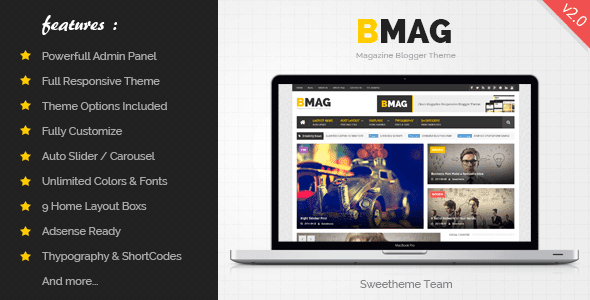 0 Response to "BMAG v2.0 – Magazine Responsive Blogger Template"